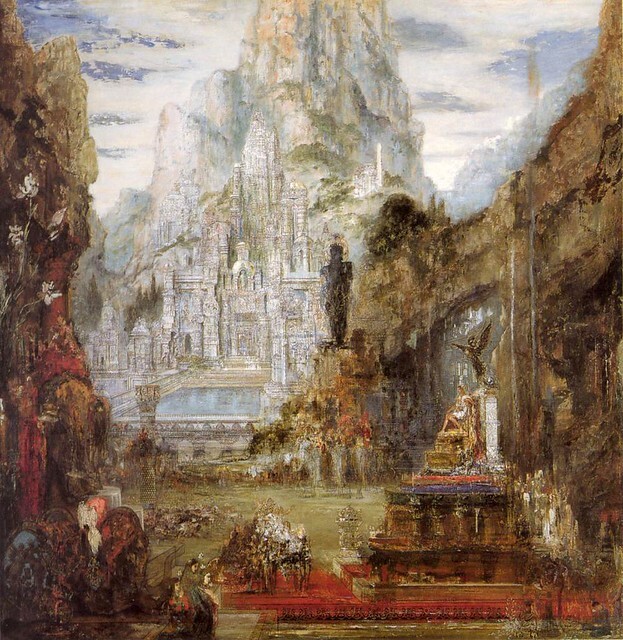 Gustave Moreau, "The Triumph of Alexander the Great", 1890. Reading Newt’s doctoral thesis (via Sullivan). Republican freshmen get a reality check (via Ackerman). Building an algorithm to detect cosmetic Photoshopping. The rise and fall of Bitcoin. A very cool layman’s introduction to cosmology (via Ed Young). The AEGIS standard towards strategic balance. Defense spending: Always more, or else. Bloomberg has an interesting new economics history blog.